As a full-service auto center, Art Morse Auto Repair can do anything from tire rotation to engines and transmission work. Our AAA approved facility can repair your car. Our hope is to keep your auto running smoothly with preventative care and maintenance, so you don’t breakdown. However, if you do, Art Morse Auto Repair will take care of the issue. 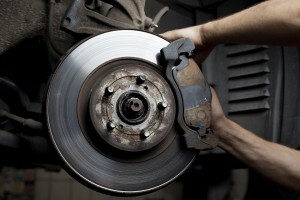 Brakes are one of the most important items on your vehicle. Leaving brake problems to chance can have long-lasting negative effects. Don’t leave your safety to chance, when you need brake repair in Vancouver, WA bring your vehicle into Art Morse Auto Repair. Since 1980 we’ve been keeping brakes in peak condition, performing the repairs necessary to make sure our customers are safe in any conditions. Changing your oil on a regular basis is one of the easiest ways to prolong the life of your vehicle and nobody provides makes an oil change in Vancouver as fast and easy as Art Morse Auto Repair. 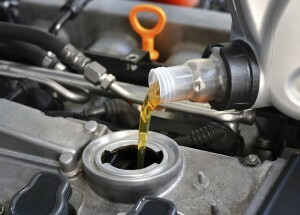 An oil change provides your vehicle with a number of benefits because oil does so much. It lubricates the engine, reduces friction and wear, and keep contaminants from adhering to the engine. When you need car repair in Vancouver, WA you want a friendly shop with knowledgeable technicians you can trust. Our car repair shop has a long record of providing excellent customer service and providing you with the kind of detail oriented automotive repair you expect. Art Morse Auto Repair has been providing Vancouver, WA citizens with exceptional vehicle repair since 1980. Though cars styles may have changed, our fantastic service has remained steadfast, and we’re proud to be a trusted name in Vancouver car repair.